French Polynesia is a frequent vacation destination. After all, who does not like to go to Tahiti? The tropical climate and the fantastic beaches make this place worthy of anyone’s bucket list. However, before thinking of going to French Polynesia, there are a few things you should probably know. Just like with any other destination, you need to do some research so that your vacation is not affected by unpleasant surprises. The first thing on your to-do list is to check if you require a visa to enter French Polynesia. French Polynesia is a French overseas territory, but it does not have the exact same visa policy. France is a Schengen Area country, but French Polynesia is not, which is why the rules are not the same. The only difference is that there are some limitations and restrictions you should be aware of. For one thing, you cannot enter French Polynesia with a Schengen Area visa. However, the list of visa waiver countries is long enough, so your chances of being on it are pretty good. For EU citizens, things are pretty easy. You only need a valid passport, and you can stay in French Polynesia for as long as you want. Other nationalities are allowed to remain for periods that vary from 3 to 6 months. That is why you should check out French Polynesia’s visa policy before planning the rest of your vacation. As for the weather, you need to mind the hair. French Polynesia is a tropical region, but the climate is humid. You will notice that as soon as you get off the plane. But the weather is incredibly nice. During the summer, which is November through April, the water temperature can go as high as 29 degrees Celsius, while in the winter, it is 26 degrees Celsius. But even in the winter, French Polynesia is an ideal place for sitting on the beach and taking a bath in the ocean. You can get to French Polynesia by plane or by boat. Plying is the primary option because the location is remote in the South Pacific Ocean. 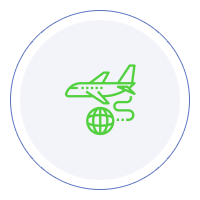 There are numerous airlines that provide a flight, but depending on where you are from, you can expect the cost of the plane ticket to be quite high. Cruise ships are also a viable option, but they are irregular. But if you have the time, a cruise on the ocean is not the worst idea. French Polynesia consists of multiple islands, but tourists usually go to the islands of Tahiti and Moorea. You can get around quite easily on these two islands because the infrastructure is satisfactory, but if you want to go from one to the other, you can either fly or go by boat. Flying, of course, is more expensive, and going by boat can actually be a fantastic experience. At the end of the day, the choice is yours. People in French Polynesia speak French and Tahitian, and it would not hurt to learn a few basic French phrases so that you can get around. The locals are used to tourists so you may use English here and there. However, if you decide to learn a few words that Polynesians use, the effort will be much appreciated. The cuisine in French Polynesia is diverse. You will find European and Asian food, although it is customized, so to speak. The exotic menus are fantastic, and fine dining is an option. Since French Polynesia is a French territory, wine is at your disposal as much as you like, but the tropical setting also provides a vast variety of fresh juices. Accommodation is widely available. There are about 50 international class hotels on all islands. However, the fees are high. In fact, everything in French Polynesia is expensive. A trip to French Polynesia on a budget is not as possible as you would think. Even buying groceries can affect your budget. So, a trip to French Polynesia is possible only if you can afford it. It is a luxury destination, so to speak. All in all, French Polynesia is worthy of your time. The location is ideal for a tropical vacation, and you get to enjoy a lot of things while there. As long as you take enough money with you, you are going to have a wonderful time.